It’s important to understand how much you can reasonably expect to teach young children and to what extent they are likely to listen to you. If you are caring for pets that are somewhat fragile — like a bird or a gerbil — or somewhat dangerous – like an untrained and aggressive dog – it may not be enough to simply give young children the proper instructions and demonstrations for handling the pet. The child’s and animal’s well-being are key, and if you fear that the child’s or pet’s safety may be in danger, you should keep the kids away from the pet until they’re old enough to have a safe hands-on experience. As an adult in a position of authority, it is your job to impart the proper ways to handle and touch animals to the children in your care. Your actions should serve as an example to them, and as such, you should go out of your way to demonstrate soft, gentle and well-calculated handling techniques. Whether you are dealing with a fragile parakeet or a sturdy Rottweiler, you should teach the children what is and is not appropriate. Fully explain the possible negative outcomes so that they understand just what can happen when you hit or assault a pet (it gets hurt, the child is hurt in return, everybody cries). Teaching children to be calm around pets is particularly important if there’s a possibility that the animal could lash out and injure someone. A calm disposition is essential around dogs. Children should be discouraged from making loud noises, jumping around or making erratic movements. You may want to discuss the way that human behaviors can make animals feel with the children in your care. (E.g., what seems fun and joyful to a child can feel threatening or confusing to a dog.) If you can convey that frantic actions and loud noises not only frighten their pet, but also make the animal more likely to become violent, this should help to keep their behavior in check. Being able to read animal body language and other indicators is essential for avoiding situations in which an animal attacks or lashes out. Make sure that the children in your care understand what certain animal behaviors typically indicate. For instance, it’s all too easy for a child to hear a dog growling and mistakenly think that the sound is an indication of happiness, like a cat’s purr. Similarly, a young child could see a cat waving its tail and think the animal is happy rather than annoyed or in a state of aggression. (Differences between dogs and cats always make for good lessons.) Making sure that children are aware of each type of animal’s specific indicators will greatly reduce the likelihood of an undesirable incident, such as a bite or scratch. If you’re out around town with the kids, chances are good you’re going to come across people walking their dogs. To cut down on risky incidents, it’s important to teach the children in your care how to interact with new animals. Children will often assume that the same type of behavior and familiarity that they engage in with their pet at home is appropriate for strange animals. The Animal League of America recommends that you always ask the owner before allowing children to approach an animal. Even so, you will want to explain to the kids that they should be especially gentle and respectful when meeting new animals. It’s also recommended that you specifically instruct children to avoid touching the eyes, ears, nose and mouth of unfamiliar animals. By maintaining constant supervision and instructing children to care for pets in the right ways, you stand to minimize the incidence of harm to the children and pets. 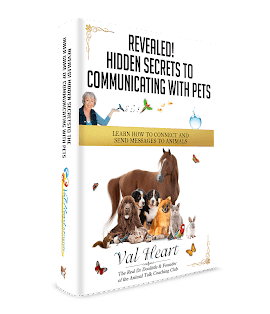 More than that, though, you will teach them valuable life skills that should help them to better navigate future interactions with animals and become responsible pet owners down the line. I respect the important tip you recommend in your post. I will bookmark your blog and have my kid check up here often. I am rather sure they will gain a huge of new stuff here than anybody else!